(AgProfessional) – U.S. soybean farmer’s biggest foreign competitor Brazil faces new challenges as a judge moves to ban glyphosate until more toxicology studies are completed. However, that isn’t stopping the country from potentially increasing soybean acres up to 5%. The ban, which comes on the heels of planting, would put Brazilian farmers in a troubling position. Much like farmers in the U.S., they face resistant weeds. Glyphosate is a critical burn down herbicide, without it yields could be diminished beyond repair. “My guess is, and this is just a wild guess, is there will be some emergency injunction,” Cordonnier says. In fact, the Minister of Agriculture is already asking for an emergency injunction to overturn this decision. 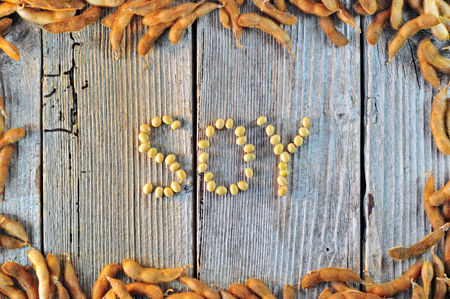 Agriculture, namely soybeans, is a key driver in the Brazilian economy. The potential glyphosate ban, in addition to infrastructure issues, could prove challenging for these farmers as soybean acres are predicted to grow this season. Even though analysts are predicting greater acres, that might not happen and might not actually mean more production because of yield-limiting factors. For example, the country is facing higher frame rates from a recent truck driver strike. This has led to delays in fertilizer delivery. “So, some farmers are going to plant soybeans with less fertilizer, maybe no fertilizer at all,” Cordonnier says. That sort of hinderance on yield, and the possibility of a glyphosate ban leading to increased weed pressure could mean that a 3% to 4% increase in planted acres might only equate to an increase of total production by 1% or 2%.